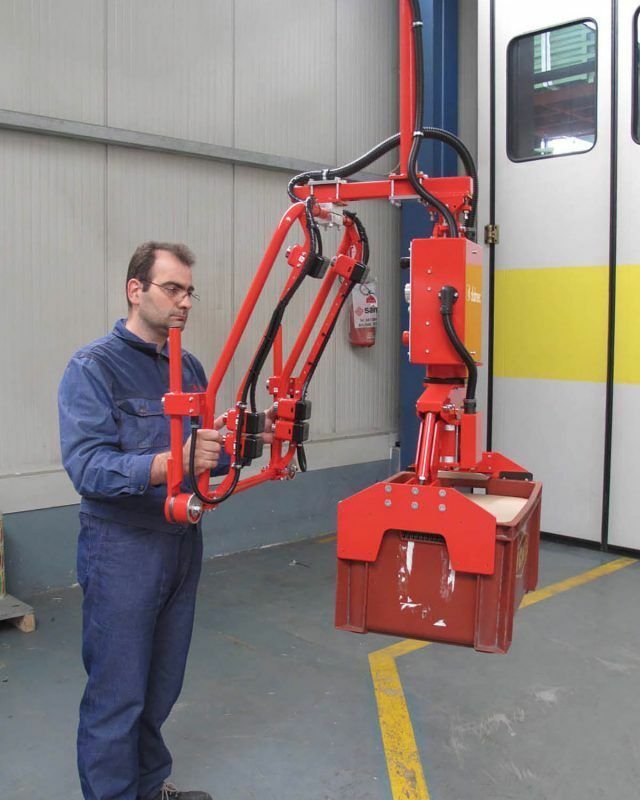 Partner manipulator, column mounted version, equipped with jaws gripping system with dual controls. The particular shape of the jaw allows the gripping and handling of a particularly wide range of packaging. Hundreds of Dalmec manipulators are used for handling reels in the leading industries all over the world. We equip our manipulators with different types of gripping devices able to lift, rotate, tilt reels of all sizes and materials with a weight from 5 Kg to 900 Kg. 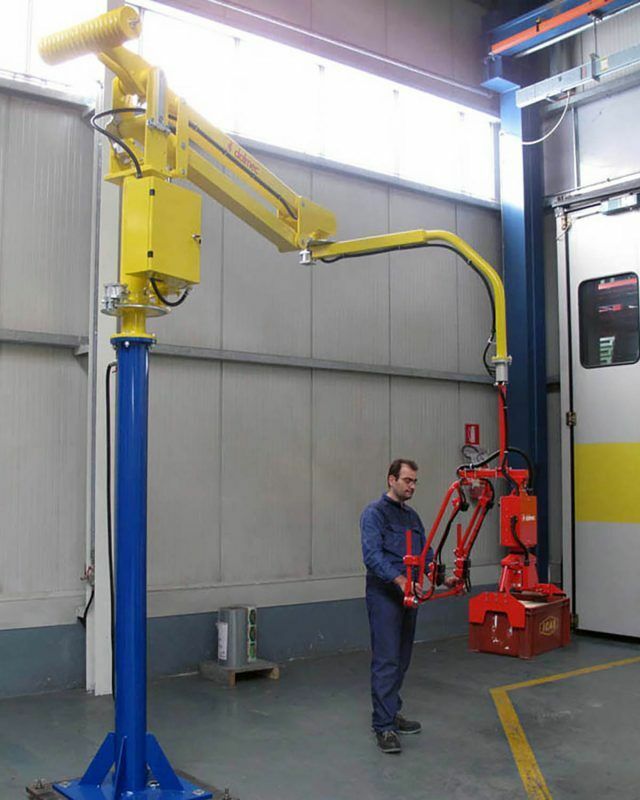 Partner manipulator, column mounted version, equipped with jaws gripping system. 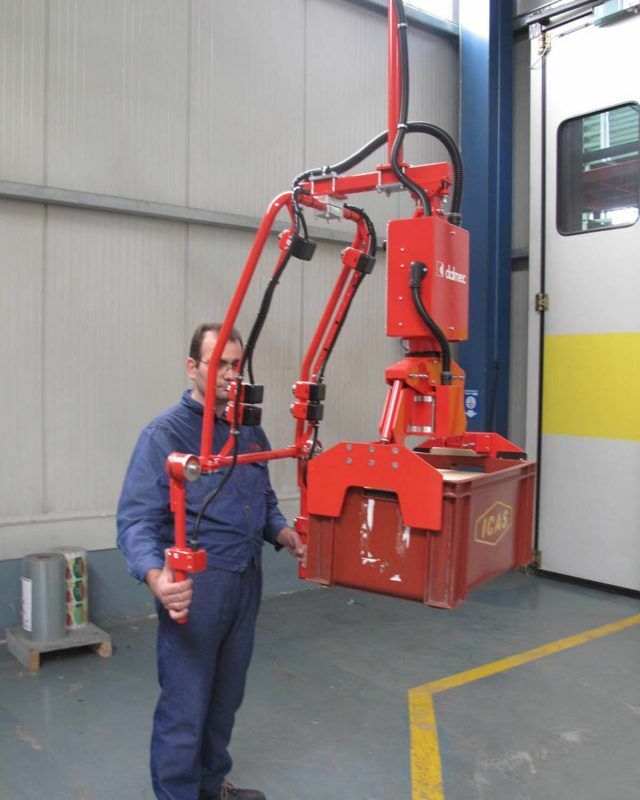 The particular shape of the jaw allows the operator to grip and handle a particularly wide range of cardboard boxes.